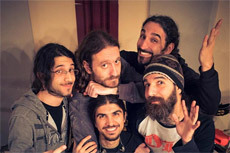 Orphaned Land are not a typical metal band. They come from Israel and they successfully manage to bring with them all the elements of the Middle East into their music. They do not hesitate to take their time between their releases, as long as it reflects the quality of their albums. 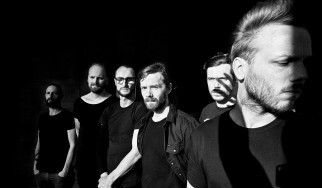 Taking the chance that a new album offers we managed to talk with Kobi Farhi, the Israeli frontman, about a lot of interesting things, such as "All Is One", or religion, the changes in the band and their Greek 'roots'. Beneath follows what he had to tell us. Hello, Alkis. How are you? I'm fine, Kobi. Hope you are too. Yeah, I’m in Germany. Everything is great. That’s good. Since this is the first time we talk with you, let’s start with the basics. Could you tell me the history of Orphaned Land in brief? Well, we started the band 22 years ago when we were teenagers in high school. The name is basically paraphrase to holy land, promised land, when we were looking about this land that is considered to be holy but suffered a lot of wars and bloodshed and conflict for the last centuries, I would even say. So we thought that it’s more like an orphaned than a holy or promised land. And that’s how we came up with the name. We did five albums including the new one and a DVD, we’ve played in more than 30 countries and I would say the best thing to say about us is that we are the most famous Israeli band among the arab countries. You started as a metal band, but I believe that now you’ve evolved into something much more. Which genre do you think represents Orphaned Land now? Well, I’ll always consider us to be a metal band. I think that we formed a new genre in the metal music, when we started using all this elements of eastern music, like bouzouki or the Arabian scales or jewish music, and we invented a genre called oriental metal. But we will always be metal. 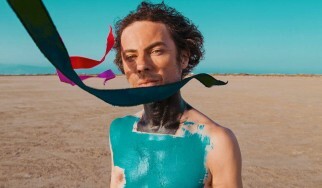 I’m still listening to "All Is One" and every time I discover new things about it. Can you tell me some things about its theme? I really see a contradiction between the album cover and the name. The harmony in which the religious symbols are connected is a utopia. 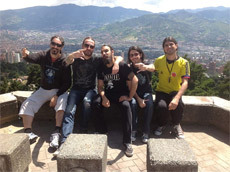 It’s a dream that all is one, that we wish to come true through Orphaned Land. The album on the other side, tells the exact opposite story, the tragedy of our region, the fact that we fail to see that all is one. We fail to understand that all the abrahamic religions come from the same source. For example, when we wrote the song "Brother", it’s what Isaac, the father of all Jews is singing to Ismael, the father of all Arabs, both sons of Abraham. And the hate between us is so huge, even though we are all brothers. I see. Something unique about you is the use of all those different languages. Do you happen to know all of them? Not really, but I like to explore a lot of them. For example I read the Koran in Hebrew, I study the Genesis in latin, it’s fascinating. Being multicultural is just a natural thing for us to do. We have the choir singing in latin, some of the parts are in Hebrew, Arabic and of course English. It’s something we always liked to do. Is it the first time you use a choir on an album? No, we did that once again on "Mabool", mainly on the song "Building The Ark", but this time we used a choir of 25 people. 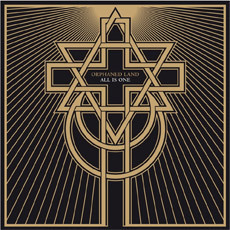 On "All Is One" the orchestral parts are like the body of the songs and the guitar parts are not so much on the foreground. Yes, it was a different approach that we did on this album. We left the singing to be the main melody in most cases, unlike the other albums, and everything is more upfront. The song titles, the lyrics. We wanted to make our songs stronger, because you see, the sad truth is that we’ve been telling these stories for many years now. It’s a different variation of Orphaned Land, but it’s still us, you can hear it. "ORWarriOR" was very much complicated and complex, so we wanted to do something else and we knew that our fans would trust us. We don’t want to repeat ourselves. Even on the same album, you hear the difference on each song. Nothing is similar to another. Since you growl only on "Fail", is it safe to assume that there will be no more growling from Orphaned Land? Some months ago we declared that we wouldn’t do any growls at all on the album. But when we were working on "Fail", the song demanded it. It’s a really angry song right in the middle of the album and the growling fits very well. So I think we aren’t done with it, because I like it. I also believe that I can deliver some good clean vocals too, so I thought we could focus on that on "All Is One". We could do an album only with growling in the future, you never know. It’s art and you just have to follow your heart. With Orphaned Land you never know what’s going to come next. 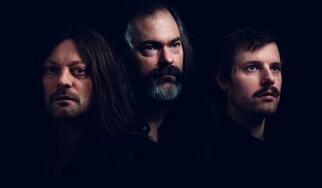 Since Matti Svatitzki left the band, how are thing now with the new guitarist? For Chen, it’s the classic story of the fan that joined his favorite band. He used to be a replacement member for Matti or Yossi when they couldn’t follow. And when Matti got tired of this life and wanted to focus on his family and his career, it was a natural choice to get Chen. The band for him is the center of his life and ever since he got into it, he brought this new energy, this new vibe, this new blood with him. He was so motivated, that we rearranged the whole album in one month while Yossi was doing his solo album. He also contributed to the writing process. It seems like he is living his dream now. Let’s go back to the songs. It seems that on a lot of them you use greek elements, but especially "Children" sounds so greek. Like zeibekiko if you know it. Yes sure. I think its aptaliko. You know, I am a big fan of greek music. Apart from Kazantzidis, who is great, I also enjoy listening to Manolis Aggelopoulos, Eleni Vitali and Charis Aleksiou. I come from a city called Jaffa and it’s very similar to Greece, because it’s in the Mediterranean. There is a lot of greek music playing there, it’s like you are in Greece. And don’t forget that I have greek roots too. It was natural for me. So we are brothers in a way. (laugh) Are you preparing to make a video from "All Is One"? Yes, we are going to make one for the track "All Is One". We released lyrics videos for "Our Own Messiah" and "Let The Truce Be Known" and a studio video from "Brother". On "ORWarriOR" you worked with Steven Wilson. How was this co-operation? I think he is god. (laugh) Back then he used to spent a lot of time in Israel, and he got into our music and got fascinated. It was something unique for him. 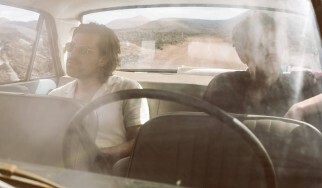 He said, I haven’t heard anything like that, and it was a huge compliment from a guy into progressive music. He always said that when he finds time we should work together, and I was always sitting on his neck. (laugh) And finally we did it, and it was perfect, because he is a genius and it’s an honor that the only metal bands he worked with are Opeth and Orphaned land. And Anathema, of course. We hang around too, had a cup of coffee or drank some wine. He is a very funny guy, with his british sense of humor. He is humble and a very nice person actually. 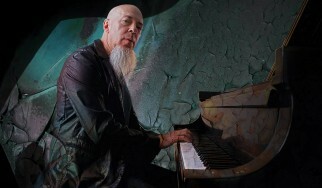 Steven also played on our DVD, he did a cover of "The Beloved's Cry". It was really great to see him standing alone on the stage playing an Orphaned Land song. It’s glad to hear that apart from an excellent musician, he is also a nice person. You told me earlier that "ORWarriOR" was the most complex album you made. Was it also the most tempting, the most energy consuming one? "ORWarriOR" is the most complex and ambitious album in many ways. But the most tempting one and the one that took the most energy out of us is "All Is One". Do you think that "ORWarriOR" is better than "All Is One"? I think it’s still too early to make a comparison, since I haven’t been so much into "All Is One". For sure they are very different albums. For me your cornerstone is "Mabool". Yes, I agree. We made a lot of fans with "Mabool". It’s the album that bombed us in a way. With that we made a huge breakthrough to the metal scene. "Mabool" is even more popular than "ORWarriOR", but I think we should wait and see what happens with "All Is One". Of course. Time will tell. It’s been 20 years since "Sahara". 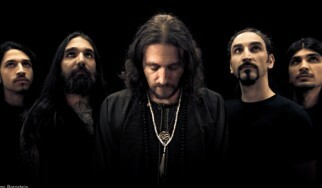 How different do Orphaned Land write music nowadays? We are more mature today and of course it’s a big help that we have a bigger budget. We always try to make something better. When you do the first album, you just put the music you have there. But after that, you always try to do better and better. After "ORWarriOR" I had no clue what more we could do, after doing such a perfect album. What I really respect about Orphaned Land is that you take your time to write an album. You don’t just release a new album every two years like most bands. Yes, even though it took us three years to release "All Is One". And I think it was because of Chen. With him in the band, every idea can be translated so fast. But you can see that even if it took us three years instead of six, we didn’t compromise on the quality of the music. We stayed loyal to our truth and I promise that even if we bring an album every two years we won’t compromise on the truth and quality and depth of our art and creation. 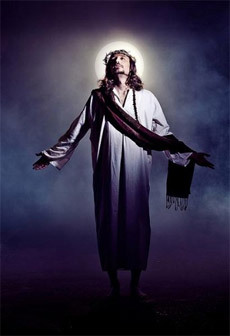 A strange comparison regarding topics and themes is that between Orphaned Land and black metal bands. You both deal with religion, but you do it in a comparative way. What’s your opinion on religions? Are you religious? No, I actually have a lot of criticism towards religion. Although I respect all of them, because I come from a place with huge heritage of culture throughout history, I can’t understand why music succeeds more than religion. I grew up to feel that my religion is music, because I see that our music brings people hope, brings people together, even enemies, all those things that I would expect from religion. But it brought us only war, taking our money. Music is the best religion I’ve discovered so far. Through music you gain access to people with different culture. Yes, we have a lot of Arab fans. It’s because of the music, that’s a fact. Is it true that there was a petition for you to be nominated for the Nobel Prize? It was just a petition our fans made last year. I don’t really know what’s going on with that, but to be honest I would give all the prizes so that there wouldn’t be any more bloodsheds in the middle eastern region. I don’t need prizes, although it was a very flattering move. And we don’t have to write tragic songs, we can also write very happy songs like "All Is One", "Sapari", "Norra El Norra". We can make a whole album of happy songs if this region was happier. I really appreciate our fans for that move. So, do you consider Orphaned Land as a political band? We are a political band and we always told stories of the macro situation of the Middle East. It’s like a responsibility for us. 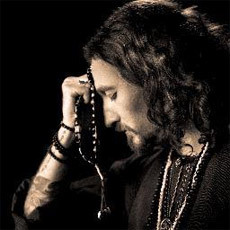 I don’t think Orphaned Land to be the right place for me to talk about personal things, that’s something we never did. That’s something I could do in a solo project. Do you have something in mind? I know Yossi did. I don’t know. 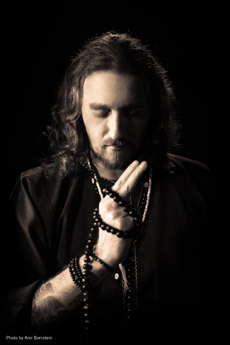 For me Orphaned Land is the main thing in my life, I’m putting all my energy there. Maybe in the future I will do something, but for now Orphaned Land is above everything for me. You did a very clever move and gave "The Never Ending Way Of ORWarriOR" for free in the Arabic speaking countries. Yes, it was something we did deliberately. You know it’s very difficult to find our music or any music there. It went really well and it made the bond with our Arab fans stronger. In 2011 you had some problems when one of your belly dancers, Johanna Fakhry, raised the Lebanese flag next to the Israeli. Is it true? Yes it is. She was not allowed to go back to Lebanon after that. I told her that she would have problems by doing that, but she told me: 'I know and I still want to do it, because that’s what I believe'. She is a very brave woman and it is very optimistic because she is representing the new generation of her region. How different is it for a metal band to start in Asia? 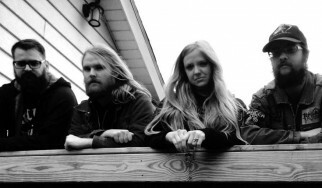 It’s really great and much different than being a european or american metal band. You have so many stories to tell and so much inspiration. I really feel privileged and honored to help make the metal scene bigger. We brought another aspect of metal music, metal from the Middle East. That included also the greek elements we used, maybe we did it more than greek metal bands do. You know , the jewish nation, before coming back to the Holy Land, had spread around the world, in Greece, Turkey, Poland, Russia, so when they got back, they brought so many sounds with them. That’s why we have so many different elements in our music. But isn’t it harder for you to become more famous than a European band? Yes, of course, the magazines are all based in Europe and focus on that scene. The flights are also very expensive from Israel, so it’s harder to make a big tour. But I believe that if you make good music, then nothing can stand in your way. Being a metal band in Arab countries, that’s something really hard, because they don’t have a democracy. They are really underground there because it’s not allowed to be a metalhead. That’s the fans I love the most and the song "All Is One" is dedicated to them. Concerning the recent death of Slayer’s Jeff Hanneman, do you believe that bands should continue to exist event after such tragic events? Yes I do, even though I believe that, for example, Death can not exist without Chuck Schuldiner. It depends on the band. Even without Hanneman’s death Slayer had some other problems too. It was strange for me to listen to Iron Maiden without Bruce Dickinson. So I have to say that the answer depends on the band. Do you believe there is a band out there that can stand as good as Deep Purple, Black Sabbath, Slayer,etc? I think that Opeth is going to be like these bands one day. Even though they are into something really different. And I’m pretty sure that oriental metal is going to be a new style in metal one day. Once people get used to those oriental elements, I’m sure it will grow faster. You’ve got some concerts here in October and it’s the first time since 2007’s Metal Healing Festival. What do you remember from that gig? It was great. I remember we also sang a song in greek. It was "Αχ Ελλάδα Σ' Αγαπώ". I can’t wait to come back again since it’s been so long. Ok, Kobi. Thank you very much for your time. It was really enjoyable talking to you. Please feel free to end the interview with a message to your fans. I can’t wait to meet you all in our tour. And I’m missing you and your amazing country. I’m sending you greetings and «γεια μας». Come to the concert and we’ll drink ouzo together. Ευχαριστώ.